Since I love color (and flamingos) and used to live in the South Florida area, Palm Beach chic decor fits right in with my design aesthetic. So when I decided to do a makeover on my deck, it made total sense to choose this fun and funky color scheme for my yard. 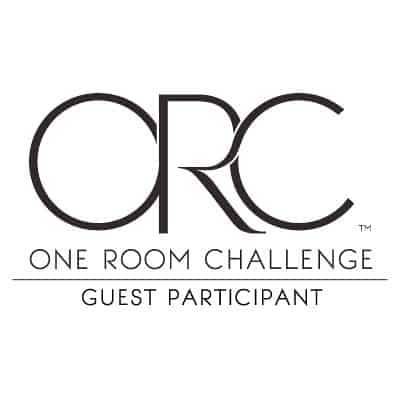 Welcome to week 2 of this year’s One Room Challenge! The mad-dash where a bunch of crazy designers and bloggers make over a room in only 6 weeks. 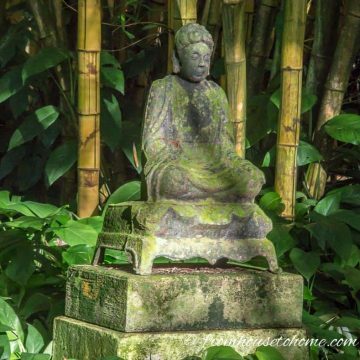 Last week, I decided that this year, rather than doing a room, I’m going to makeover my backyard deck area. 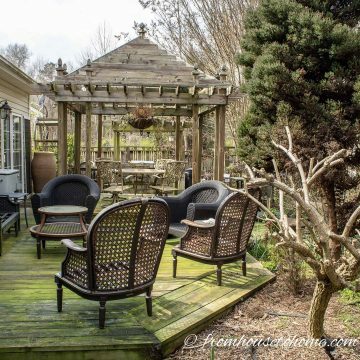 So I shared what my outdoor entertaining area looks like now and came up with my list of things that need fixing. This week I have been busy gathering my inspiration and design ideas. Any of you who have been around here for a while will not be surprised that I chose blue and white as the color scheme for my my deck re-do. After all, blue is my favorite color, I have blue and white ginger jars everywhere in my house, and there is some blue and white in pretty much every room in my house. 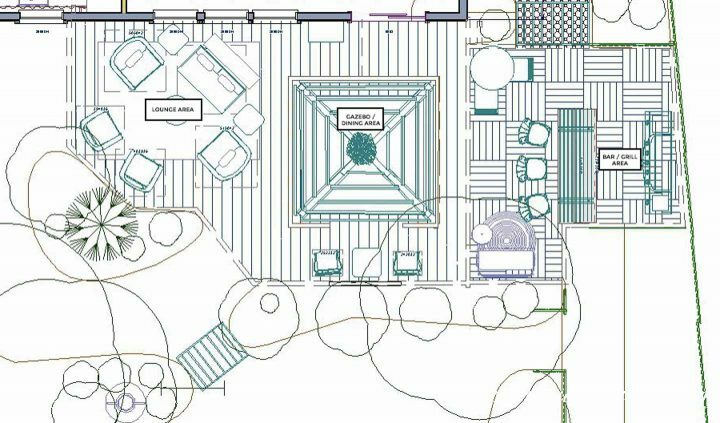 I even researched blue and white garden design ideas back in the winter. Since the first part of my makeover is updating all of the mismatched cushions, I requested a bunch of blue and white outdoor fabric samples from online fabric sites (fabric.com* is my favorite). Then while I was waiting for them to arrive, I decided to go to my local JoAnn’s to see what they had in stock. And that’s where it happened…I fell in love with a fabric that was totally NOT blue and white. In fact, it has flamingos on it! Have I ever mentioned that I have a thing for flamingos? I blame my parents for taking me to see them in Miami when I was about 3. Back then, pink and purple were my favorite colors. So seeing pink birds? I have loved flamingos ever since! Anyhow, back to the deck makeover…long story short, I changed my color scheme on the spot…to pink and turquoise. Here’s the swatch of fabric that did it. 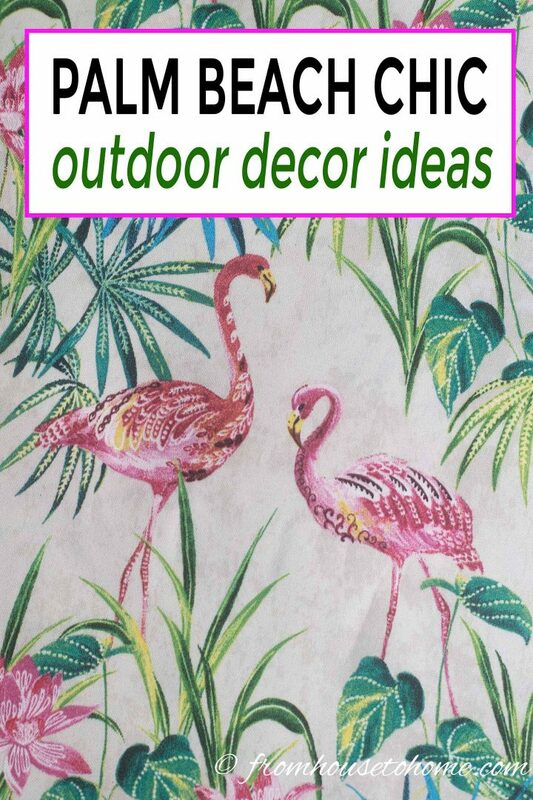 And since we already have flamingos, I decided to go all out for full-on Palm Beach chic outdoor decor. Bring on the color! Anyone need about 20 blue and white outdoor fabric swatches? Actually, they probably won’t go to waste. As I mentioned in last week’s post, I’m only doing part of the backyard this go around. So those swatches just might come in handy when I re-do the back part of the yard (but that’s definitely a discussion for another day). 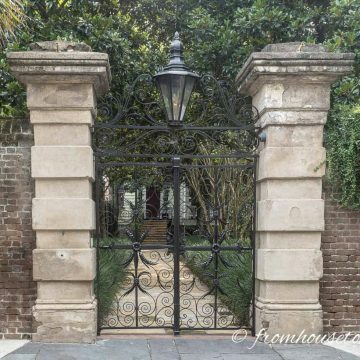 I have never really thought of doing Palm Beach chic decor before, so I went right home to find some pictures for inspiration. 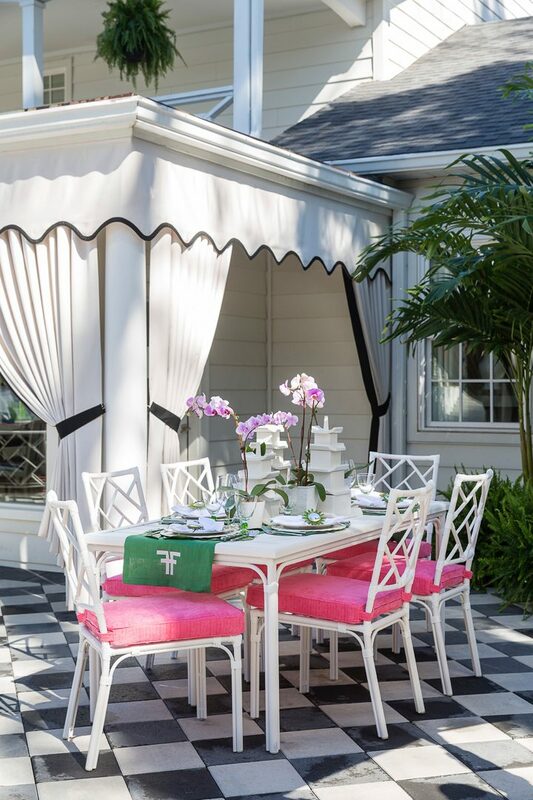 The first Palm Beach chic decor idea I found was this one from Tobi Fairley. 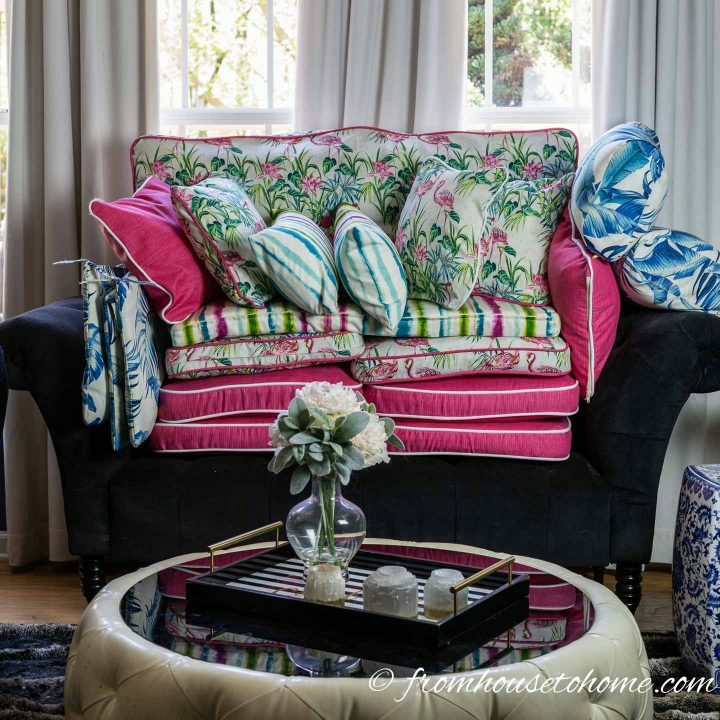 With its fuchsia chaise lounges, green pillows and lots of black and white, it has the fun tropical feel I’m going for. I won’t be using green, but I think turquoise would work just as well. 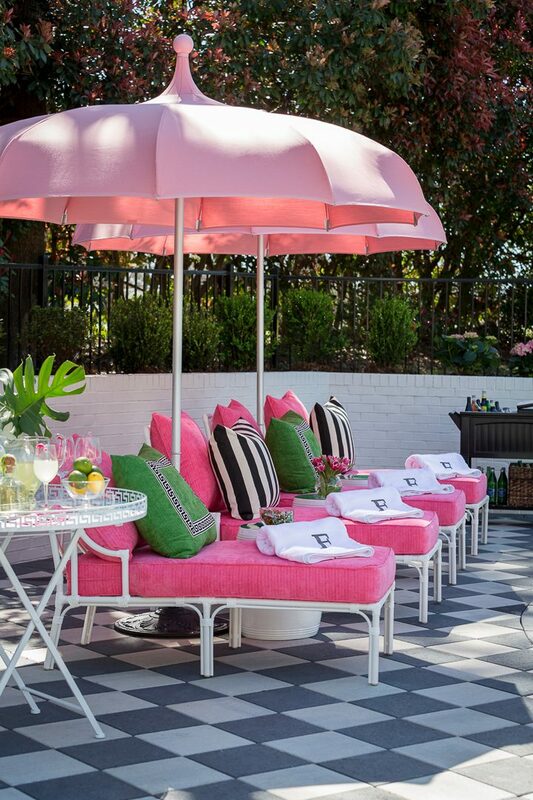 And I love the pink umbrellas! 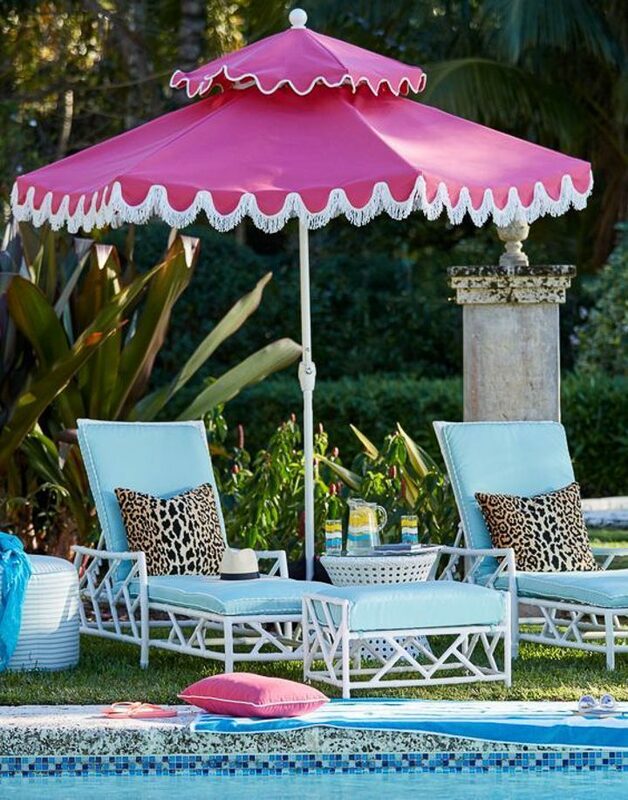 Speaking of pink umbrellas…how about this beauty*? The white fringe adds a little bit of that glam factor which I love. And it goes well with the Palm Beach chic decor. 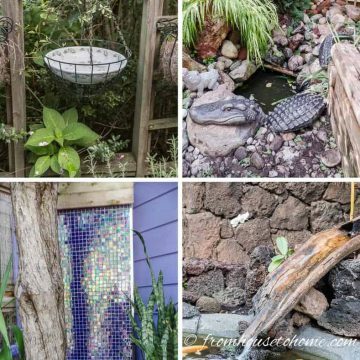 It is a little outside of my budget, so I think that’s another DIY project being added to my list. I also love the leopard print with the ocean blue cushions. 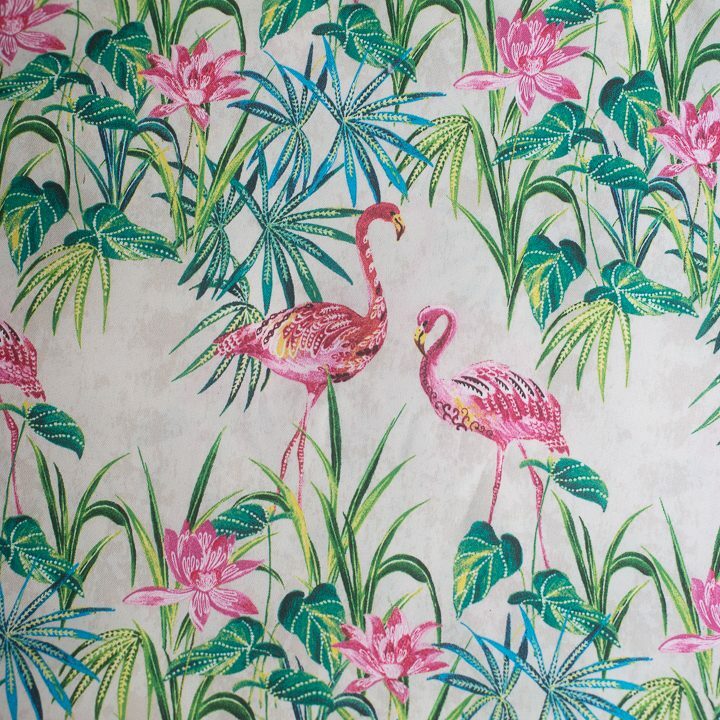 But I think I will restrain myself from adding that to the design…the flamingos are already a pretty bold pattern. 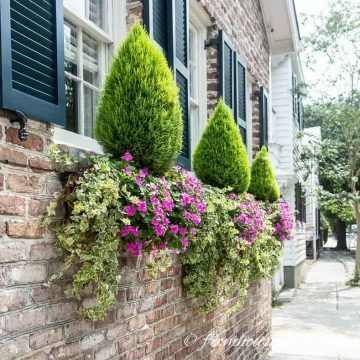 This is another picture from Tobi Fairley’s patio, and I’m loving her outdoor curtains. As well as those pink cushion covers. They would go really well with my flamingos! I don’t think you can have Palm Beach chic decor without a glam bar cart, so I’ll have to see what I can do about that. 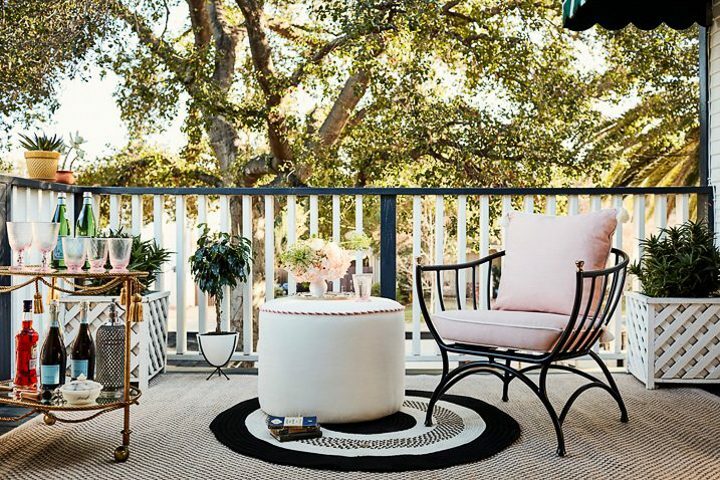 Using an outdoor pouf as a side table is another great idea I might have to steal. (But probably another DIY project, since this one* is more than I want to pay). Finally, I need to do something to upgrade the outdoor bar and grill area. I love this idea of upholstering the front of the bar. I have actually done something similar to this on the wall behind the buffet in my dining room. But it never occurred to me to do it outside. Now that I had some inspiration, it was time to look for more fabric. And I have to say…this color scheme must be meant to be. 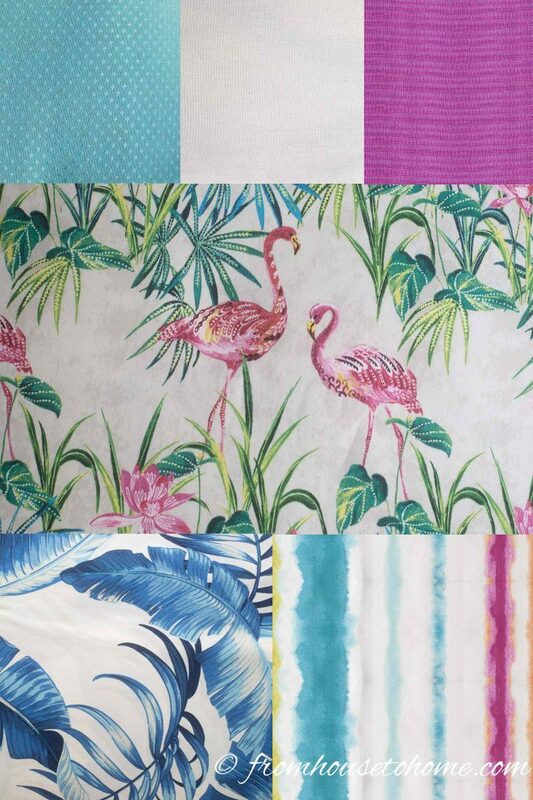 I found all of the outdoor fabric I needed in my local stores…which means no waiting for it to get delivered. With only 6 weeks to get this makeover done, I can use all the time I can get. The good thing about changing the color scheme? Some of my cushions already fit in. So I’m keeping the large light beige seat cushions, the turquoise seat cushions and the small light beige seat cushions. They all go really well with my inspiration fabric. The bad news? That still leaves A LOT of sewing…21 cushions plus 10 curtain panels and the pouf. 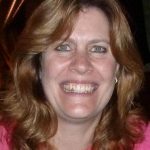 I can sew…if I have to. But if I had to make all of these things myself, I would probably be showing you the reveal at next spring’s One Room Challenge. So it’s a good thing my mother was in town. You know a makeover is in progress when your living room sofa is piled with cushions that are meant to go somewhere else. The actual footprint of the deck isn’t really changing much but I thought I would share what it looks like so you get an idea of the layout. I did re-arrange the furniture a bit, and the drawing definitely helped us figure out which cushions to make with what fabric. Now don’t forget to visit all of the other One Room Challenge designers and bloggers for a whole lot more decorating inspiration. And be sure to check back next week for an update on my progress. 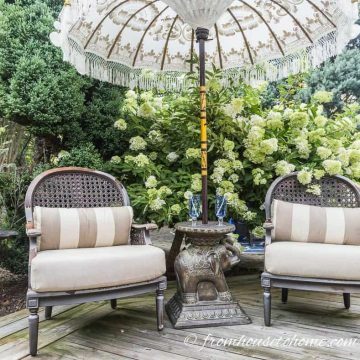 Have comments or questions on our Palm Beach chic outdoor decor ideas? Tell us in the section below.